Gurmit was awarded the Honorary Degree along with three other leading luminaries from the field of Management, Law and Humanities for their remarkable work in their respective areas. He also gave an address at the ceremony and was presented with the award at the second convocation ceremony of JLU held in Bhopal last week. 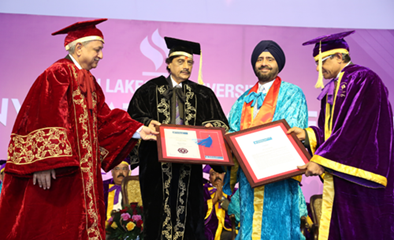 Accepting his Honorary Doctorate, Gurmit Singh, VP & MD, Yahoo India said, “I am grateful, humbled, and honoured, to receive the Honorary Doctorate from Jagran Lakecity University, an innovative and young institution which believes in the importance of providing equal education to all and igniting young minds. I want to thank the Faculty of JLU for instituting me with this honour.” Gurmit also congratulated the graduating students and discussed the impact of technology in communications both to individuals and businesses and how that opens great possibilities for their future. Gurmit has enjoyed a distinguished career spanning over two decades where he has worked for brands like Yahoo, Sony Music, Hindustan Times, India Today Group, Rajshri Media, Marico Industries and Network 18. During his stint with Forbes, Gurmit played a pivotal role in leading marquee events like Forbes India Leadership Awards and Forbes India Philanthropy Awards. 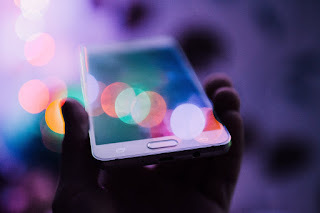 Currently as the Managing Director for Yahoo in India , Gurmit has shown strong leadership in driving the business momentum with focus on Mobile Devices, Native & Video advertising and Content Marketing. Gurmit has completed his Master’s in Business Administration from the Faculty of Management Studies (FMS) at the University of Delhi. He is a University Gold Medalist in Mechanical (Production) Engineering from Osmania University, Hyderabad. In addition to his leadership position at Yahoo, he is also part of the Board of The Advertising Standards Council of India.